Whether you have a second home in Miami for vacationing or are moving to the area, you can have the home cleaned professionally to prepare it for your move in. 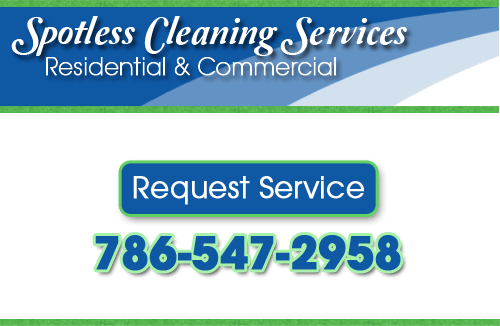 At Spotless Cleaning Services, we already take care of many homes in Miami and would love to earn your business as well. We have a full list of services that can help you when you’re needing your environment cleaned up including regular move-in ready cleaning, vacation rental upkeep, maid services, drapery steam cleaning, and more. By the way, we also provide expert boat cleaning services in case you’re planning to use or rent a boat when your here in Miami! Do you own a vacation home or time-share home in the Miami area? If so, we can get it cleaned and ready for you whenever you plan to come to the area for your vacation. Preparing your home away from home to get it ready for your arrival will help you to enjoy your time away without having to worry about the condition of the property. Whether you just need a one time cleaning service for your Miami area vacation home or would like to have it maintained throughout the year while you’re gone, we can set up the right cleaning services for you at Spotless Cleaning Services. Our cleaning services are especially useful if you share your vacation home because we can keep it clean between the times it’s used by the other members of the property. You can have it fresh and beautiful before you arrive and thoroughly cleaned when it’s time to go back to your main home. While you’re here on vacation, you may be here long enough to need our maid services as well. We can plan to clean your vacation home on your schedule so it can stay clean and ready for you and your family as you need it. There’s nothing worse than being on vacation and still be stuck with having to clean your environment. You’re supposed to be on vacation from all that! Let us take over this chore for you and you’ll have all the fresh, clean surroundings no matter who comes in with sandy shoes and wet bathing suits and towels! Our professional housekeeping maid services are just what you need to make your vacation all it should be. If you’re planning to rent a boat or you’re bringing your own, we can clean it for you professionally either before you need to use it, after, or both. Our professional boat cleaning service saves you from having to deal with dirty decks, seats, trash removal, polishing, and more. We can wash off your boat exterior and provide you with a number of cleaning tasks that will get the boat ready for your use or after you use it and need to return it to the boat rental place. For all your vacation cleaning needs, you can have professional cleaning services take care of all the burdensome chores you’re trying to leave behind, if only for a short time! Let us make your vacation as fun and exciting as it should be! Call on the professionals you know are reliable and insured -Spotless Cleaning Services! If you are looking for Professional Vacation Home Cleaning in the Miami area, please call 786-547-2958 or complete our online request form.